The following Sales Terms apply to all sales. Certain sales, identified herein as the sale of Premium Services, are made subject to additional terms and conditions, which are set forth separately below. 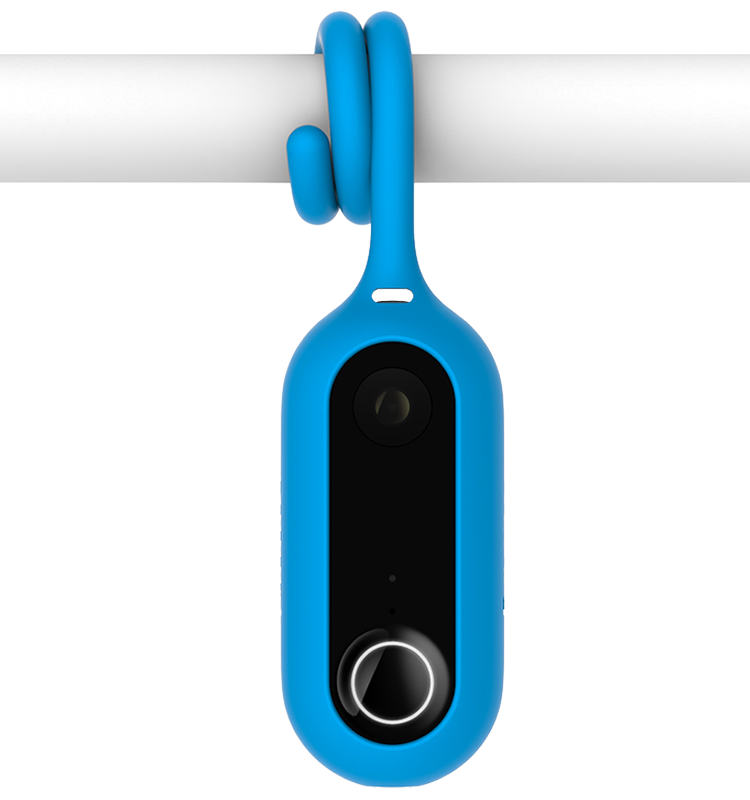 The online store provided by Canary on the site https://shop.canary.is/us (the "Store") allows you to purchase certain identified products and services (each, a “Product” and collectively, the "Products") from Canary and available depending on the location from which you purchase the Products. Your purchase from the Store constitutes your agreement to be bound by these terms of sale (“Terms”) and the provisions of the Limited Warranty applicable to our Products. The Products may include software in any form ("Software"), and such Software may only be licensed to you, not sold, and only in accordance with Canary’s End User License Agreement, as will be provided to you with the Product. If you are a resident of the US or Canada, these Terms constitute a legally binding agreement between you and Canary Connect, Inc. From all other locations, these Terms constitute a legally binding agreement between you and Canary Technology Europe Limited. When these Terms refer to "Canary," "us," "we" or "our" each should be understood to refer to either Canary Connect, Inc. or Canary Technology Europe Limited, as appropriate to your location. Although our Store is accessible worldwide, the Products offered are not designed and tested for use in all countries. If you choose to make a purchase from our Store or to use our Products outside the United States, Canada, or the European Union (“EU”), you understand and agree that you are doing so on your own initiative and perhaps at your own peril in terms of the functionality and legality of your purchase and intended use, and that you are solely responsible for complying with all applicable local laws in your country. You expressly understand and agree that your purchase or use of the Products outside of the U.S., Canada or the EU renders all provisions of these Terms void and of no pertinence or application to such purchase or use, and that Canary makes no representation, warranty or other promise to you relating to the purchase or use of the Products. In addition, if you make a purchase from a country outside of the United States, your purchase may be made through an online store hosted by Canary’s third party ecommerce partner, Digital River. In such cases, your order will be subject to separate terms and conditions available to you at the time of purchase and not these Terms. You agree to provide current, complete and accurate purchase and account information for all purchases made at our Store. You agree to promptly update your account and other information, including your email address, credit card numbers, and expiration dates, so that we can complete your transactions and contact you as needed. You agree to pay all fees for orders you place with us based on our then-current fees, charges, and billing terms as stated on our website at the time of purchase. You expressly agree that Canary is permitted to bill you for the applicable fees, any applicable tax, and any other charges you may incur in connection with your purchase and the fees will be billed to your credit card, debit card, or other payment method designated on your initial order. Canary is not liable for any loss caused by any unauthorized use of your credit card, debit card or any other method of payment by a third party in connection with your use of the Service. Canary reserves the right to change its billing methods at any time. All descriptions of products or product pricing are subject to change at any time. Purchases made through Canary’s Store are intended for retail consumer end-use only, and no purchaser may resell any Products unless such person or entity is a Canary Authorized Reseller. Subject to this prohibition on resale and terms applicable to Membership set forth below, you may freely transfer your device(s). You should be sure to deactivate your device prior to initiating any transfer for data privacy and security purposes. Please note that for security reasons, Canary will not determine or change ownership of a device for any reason without the express written consent of the individual designated as the “Location Owner” at device setup. We reserve the right to refuse any order placed with us for any reason, including a reasonable suspicion that any order appear to be intended to result in a resale. Therefore, in our unilateral discretion, we may limit, cancel or reject quantities purchased on a per person, per household, or per order basis, in our sole discretion. Such determinations to restrict orders may include orders placed by or under the same customer account, the same credit card, and/or orders that use the same billing and/or shipping address on a one-time or serial basis. In the event that we limit, cancel or reject an order, we may attempt to notify you by contacting the email and/or billing address and phone number provided at the time the order was made. We reserve the right to limit or prohibit orders that, in our sole discretion, appear to be placed by dealers, resellers or distributors or persons or entities we believe are purchasing with the intention of reselling. We also reserve the right to limit the sales of our Products to any person, geographic region or jurisdiction. Any offer for any Products made on this site is void where prohibited. Canary will pack the Products in accordance with its standard practices. You can choose the method of shipment and timing of delivery for Products ordered. We will charge you for shipping and handling. Scheduled shipment dates are estimates only. Canary will make reasonable efforts to meet the scheduled shipment dates, but in no event will Canary be liable for any loss, damage, or penalty resulting from any delay in shipment or delivery for reasons outside of Canary’s unilateral control. If you are not satisfied with any Product purchased from the Canary Store for any reason, you will have sixty (60) days from the date of purchase to request a full refund. For full details on the return process, please see Canary’s Return & Refund Policy. At the time of your purchase of our Products and thereafter (in our app and/or on our website), you will have the opportunity to elect to purchase one or more premium subscription services, which may be sold a-la-carte or in a bundle (“Premium Services”), through Canary’s Membership program. There are certain terms and conditions (“Premium Terms”) which pertain to the purchase, use and termination of these Premium Services that are in addition to other terms governing the use of Canary’s systems generally. Each of the Premium Services currently offered by Canary is explained here. 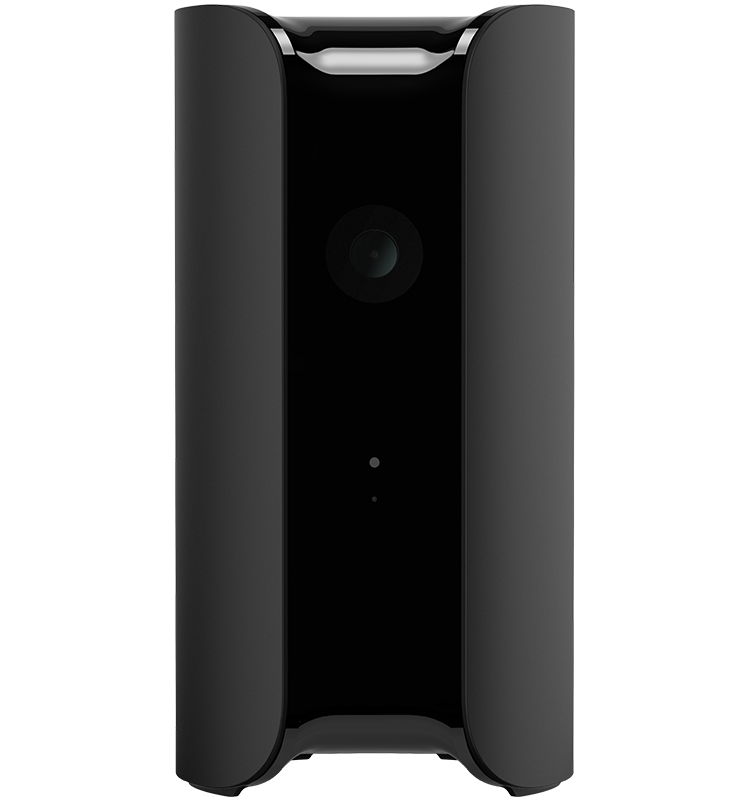 Premium Services may include items such as access to full recorded device videos for a predetermined timeframe (currently, 30 days); access to certain premium “Members-Only” software features such as a web-based device video viewing experience and two-way talk functionality; an extended device warranty; and customer service support in the event of a home security incident. Full recorded device videos are available to Members for videos recorded after the Member upgrades to Membership and will remain available to the Member for up to thirty (30) days. Video previews captured by a Canary device prior to upgrade will not be replaced by full videos when the user upgrades to Membership. The Extended Warranty includes the same provisions of Canary’s standard Limited Warranty but adds an additional twelve (12) months from the date of purchase. The Extended Warranty must be in place for a relevant device at the time the device fails to be potentially eligible for an Extended Warranty claim. Outside the United States, Members will receive full video and timeline access as set forth in the Membership materials applicable to the user’s country of residence, but other services (such as extended warranty or incident support) are not available at this time. Purchase of Canary’s Premium Services includes the features described on our Membership page at the time of your purchase and are subject to change (including during the period of your Membership) on notice to you. Canary reserves the right to limit certain Premium Services functionality, such as video uploads and access, web-based device video viewing experience, and two-way talk, immediately upon notice to you if, in our sole discretion, your use of the applicable Premium Service is inconsistent with the purpose or manner in which it is intended to be used. No refunds will be offered in connection with any such limitation. A Membership and the rights and privileges provided to a member are personal and non-transferable by assignment, sale or otherwise, each of which is specifically prohibited. If you sell or give your device(s) to another person, you are not permitted to transfer your Membership with the device(s) for that person’s use. The person who receives your device(s) must purchase his or her own Membership. You will not receive a refund, pro-rated or otherwise, if, as a result of selling or giving your device(s) to another person, you deactivate your account. All fees for and payments of a Membership are in US Dollars unless otherwise noted at the time of purchase. Membership is billed on a per-device, per-location basis. 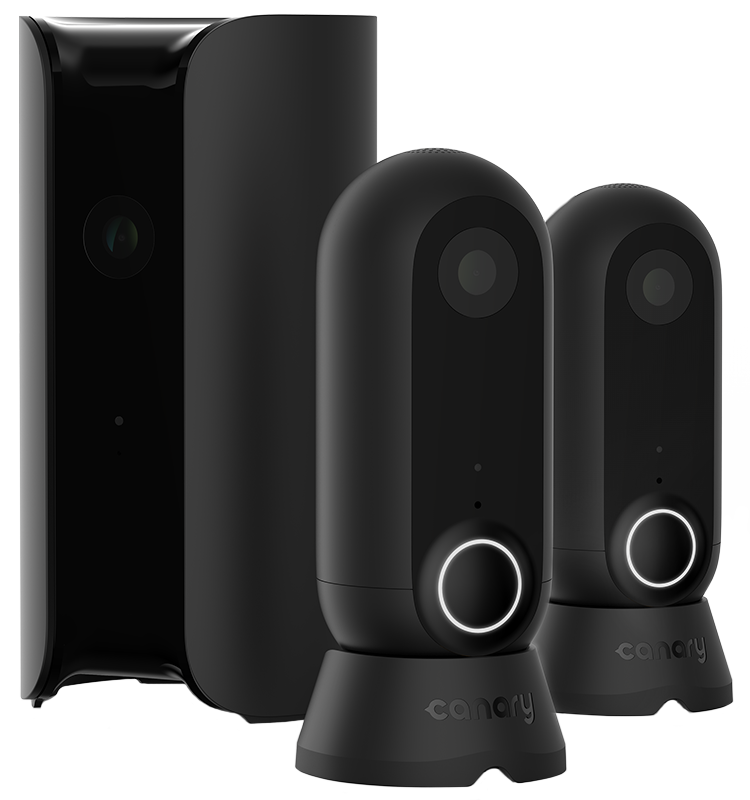 The final price of your Membership will be a function of the number of devices registered with your active Canary Account at each physical location on your account. If a physical location has Membership activated, all devices at that location must be on Membership. In the event that the number of devices changes during the course of a month or year, depending on which billing option you choose, your bill will be adjusted on a pro-rated basis either on a monthly or annual basis to reflect the change in the number of registered devices. The initial price for the Membership you choose is posted on Canary’s website on the date that you subscribe. Canary reserves the right to change your Membership terms and prices with appropriate notice to you. We do not provide upward or downward price protection or refunds in the event of promotions or price decreases offered after the date on which you subscribe. You may pay for your Membership with a major credit or debit card, or any other payment method accepted by our third party payment processor at the time of purchase ("Payment Method"). We will charge your credit or debit card or account for your first Membership fee on the date that we process your order for your Membership and on or about each monthly or annual anniversary. Once your credit or debit card or account is charged the first Membership fee, you will receive a confirmation email. If you have any dispute with any such charge, you must notify us in accordance with our Cancellation requirements, set forth below. You acknowledge that the amounts billed each billing period may vary for reasons that may include differing amounts due to promotional offers or changing your Membership Plan. You authorize Canary to charge your Payment Method for such varying amounts, or to provide you a credit, on your next billing cycle. Payments for our Membership services are processed through our third party payment processors. Your Canary Membership may begin with a free trial for a limited period of time. If you receive a free trial, the specific offer terms will be stated in the material describing the free trial offer. Free trials are for new Canary customers only. We will not combine free trials with any other offers. When a free trial ends, if authorized by you during the registration process, your paid membership will begin and we will charge your payment method accordingly. Canary reserves the right to determine and limit eligibility for any free trial. Once your free trial period ends, we will begin billing your Payment Method for the monthly or annual membership fees corresponding to the Membership you chose at the time of purchase (plus any applicable taxes), unless you cancel in a timely manner according to our policies prior to the end of your free trial. For that reason, unless otherwise indicated in the free trial description, you may be asked to set up a valid Payment Method for continuation charges when redeeming a free trial offer. If you wish to avoid charges to your Payment Method, you must cancel your Membership prior to the last day of your free trial period. You may cancel your Membership at any time as described in the Cancellation section of these Terms. CANARY WILL AUTOMATICALLY RENEW YOUR MEMBERSHIP ON OR ABOUT EACH MONTHLY OR ANNUAL ANNIVERSARY OF THAT DATE THAT CANARY FIRST CHARGES YOU FOR THE FIRST MEMBERSHIP FEE. IN ADDITION AND, AS AUTHORIZED BY YOU DURING THE MEMBERSHIP SIGN-UP PROCESS, CANARY WILL CHARGE YOU THE APPLICABLE MONTHLY OR ANNUAL MEMBERSHIP FEE AND ANY SALES OR SIMILAR TAXES THAT MAY BE IMPOSED ON YOUR MEMBERSHIP FEE PAYMENT UNLESS YOU CANCEL PRIOR TO THE RENEWAL DATE. MEMBERSHIP WILL NOT AUTOMATICALLY RENEW IF YOU CHOOSE TO OPT OUT OF AUTOMATIC RENEWAL. 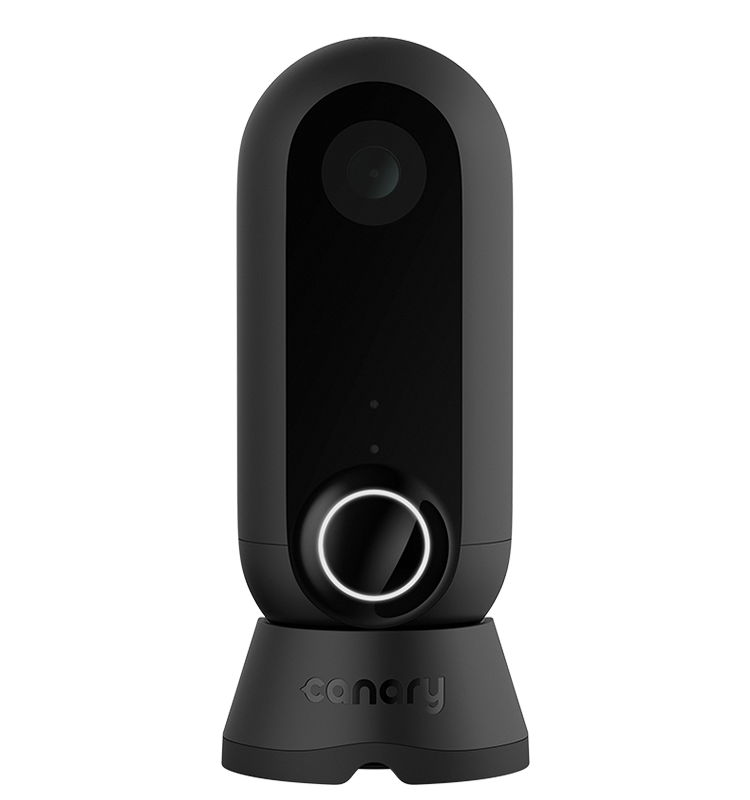 YOU MAY OPT-OUT OF THE AUTOMATIC RENEWAL FOR MONTHLY OR ANNUAL MEMBERSHIP AT ANY TIME BY CONTACTING SUPPORT@CANARY.IS. Canary may also obtain preapproval for an amount up to the amount of the transaction and contact you periodically by email to the email address associated with your account, by text/SMS message to the phone number associated with your account, via mobile push notification, or via other methods you authorize, for billing reminders, Canary promotional offers and other account-related communications. Your registration and use of Membership constitutes consent to receiving these communications from Canary regarding your account. By purchasing our Products, you are agreeing that any agreements, notices, disclosures and other such communications sent to you by Canary via any method of communication will satisfy any legal requirements, such as receiving notice in writing or certified mail. You will be liable for paying any and all applicable sales and use taxes for the purchase of your Membership based on the mailing address that you provide when you register as a member, and you authorize Canary to charge your credit or debit card for any such applicable taxes. If Canary is unable to successfully charge your credit card or payment account for fees due, Canary reserves the right to revoke or restrict access to our services, delete your stored content in accordance with our data retention policies and procedures, or terminate your account. If you want to designate a different credit card or payment account, or if there is a change in your credit card or payment account status, you may change your Payment Method by logging into your account and making all necessary payment related changes to your account profile. Making such changes may temporarily disrupt your access to the services while Canary verifies your new payment information and may result in a change to your payment billing date. YOU MAY CANCEL YOUR MEMBERSHIP AT ANY TIME BY CONTACTING CANARY BY TELEPHONE AT (844) 294-4163 (US), 0 800 090 3699 (UK), OR VIA EMAIL AT SUPPORT@CANARY.IS ONLY IF YOU ARE RESIDENT IN COUNTRIES OTHER THAN THE US OR UK. MERELY UN-PAIRING A PRODUCT FROM A LOCATION OR OTHERWISE DISCONNECTING IT FROM ITS POWER SOURCE OR INTERNET CONNECTION WILL NOT TRIGGER CANCELLATION OF THE MEMBERSHIP. CANARY REQUIRES A REASONABLE AMOUNT OF TIME TO PROCESS CANCELLATION REQUESTS. MONTHLY MEMBERSHIPS MAY BE CANCELLED FOR A FULL REFUND WITHIN THREE DAYS OF INITIAL REGISTRATION. IF YOU CANCEL YOUR MONTHLY MEMBERSHIP OR DOWNGRADE TO A LOWER PRICED MEMBERSHIP PLAN AT ANY TIME AFTER THREE DAYS OF REGISTRATION, YOU WILL ENJOY YOUR EXISTING MEMBERSHIP UNTIL THE EXPIRATION OF THE THEN-CURRENT MEMBERSHIP TERM FOR WHICH YOU HAVE PAID, AND YOUR MEMBERSHIP BENEFITS WILL EXPIRE OR DOWNGRADE AT THE END OF THE THEN-CURRENT MEMBERSHIP TERM IN ACCORDANCE WITH YOUR REQUEST. WE DO NOT PROVIDE PARTIAL OR PRO-RATED MONTH REFUNDS OR CREDITS. ANNUAL PLANS MAY BE CANCELLED WITHIN THE FIRST FOURTEEN DAYS OF REGISTERING FOR A FULL REFUND. ANY CANCELLATION AFTER THE FIRST FOURTEEN DAYS OF REGISTERING WILL BE EFFECTIVE AT THE END OF THE THEN-CURRENT ANNUAL BILLING PERIOD AND NO CREDITS OR REFUNDS WILL BE ISSUED. YOUR MEMBERSHIP BENEFITS WILL EXPIRE AT THE END OF THE THEN-CURRENT ANNUAL MEMBERSHIP TERM. YOU MAY OPT-OUT OF THE AUTOMATIC RENEWAL FOR MONTHLY OR ANNUAL MEMBERSHIP AT ANY TIME BY CONTACTING SUPPORT@CANARY.IS. Unless otherwise noted, any fees paid by you prior to your cancellation are nonrefundable (except as expressly permitted otherwise by this Agreement or as may be required by law), including any fees paid in advance for the billing cycle during which you cancel. Termination of your account past the relevant deadline for cancellation shall not relieve you of any obligation to pay any accrued fees or charges to which you committed and failed to timely cancel. Upon cancellation of your Membership plan you will lose access to the benefits of the Membership plan and, after a period of time, Canary will delete information and data stored as part of your account in accordance with our current plans and related storage limits. As noted above, you may not transfer your Membership to any other person, whether or not you sell or give your device(s) to that person. Subject to the prohibitions on resale set forth above, transferring your device(s) is permitted, but you will not receive a pro-rated refund for the balance of any remaining term of your Membership plan associated with the device(s) if you cancel your membership and/or deactivate your device(s). The person to whom you sell or give your device(s) must purchase her own membership plan if interested, and will not receive any credit or other monetary benefit due to your device(s) having been associated with a membership plan which was not utilized for its full term. You agree to use Membership only for purposes permitted by these Terms and including those additional terms and conditions and policies referenced or available by hyperlink at www.canary.is/legal as applicable to your plan. Our Membership, or any related feature, may not be available in all languages or in all countries and Canary makes no representation that the Membership is appropriate or available for use in any particular location. To the extent you choose to access and use the Membership, you do so at your own initiative and are responsible for compliance with any applicable laws. Nothing in these Terms, and in particular within this "Limitation of Liability" section, shall attempt to exclude or limit liability that cannot be excluded or limited under applicable law. (B) IN NO CASE SHALL CANARY, OUR DIRECTORS, OFFICERS, EMPLOYEES, AFFILIATES, AGENTS, CONTRACTORS, INTERNS, SUPPLIERS, SERVICE PROVIDERS OR LICENSORS BE LIABLE FOR ANY BODILY INJURY OR HARM TO PROPERTY , OR ANY OTHER LOSS, CLAIM, OR ANY INDIRECT, INCIDENTAL, PUNITIVE, EXEMPLARY, SPECIAL, OR CONSEQUENTIAL DAMAGES OF ANY KIND, INCLUDING, WITHOUT LIMITATION LOST PROFITS, LOST REVENUE, LOST SAVINGS, LOSS OF DATA, REPLACEMENT COSTS, OR ANY SIMILAR DAMAGES, WHETHER BASED IN CONTRACT, TORT (INCLUDING NEGLIGENCE), STRICT LIABILITY OR OTHERWISE, AND WHICH ARISE FROM OR ARE OTHERWISE ASSOCIATED WITH YOUR USE OR OWNERSHIP OF THE PROPERTY, OR ARISING FROM YOUR PURCHASE FROM OUR STORE, USE OF OUR SERVICES OR RELATED IN ANY WAY TO YOUR USE OF THE SERVICE, INCLUDING, BUT NOT LIMITED TO, ANY ERRORS OR OMISSIONS IN ANY CONTENT, OR ANY LOSS OR DAMAGE OF ANY KIND INCURRED AS A RESULT OF THE USE OF THE SERVICE OR ANY CONTENT POSTED, TRANSMITTED, OR OTHERWISE MADE AVAILABLE VIA THE SERVICE, EVEN IF CANARY KNEW OR SHOULD HAVE KNOWN ADVISED OF SUCH A POSSIBILITY. Canary controls and operates its Service from its headquarters in the United States. If you use this Service outside the United States of America, you are solely responsible for following applicable local laws. In the event that any provision of these Terms is determined to be unlawful, void or unenforceable, such provision shall nonetheless be enforceable to the fullest extent permitted by applicable law, and the unenforceable portion shall be deemed to be severed from these Terms, such determination shall not affect the legality, validity and enforceability of any other remaining provisions. Canary’s failure or delay in exercising its rights or ability to enforce and provision of these Terms shall not constitute a waiver of such right or provision. These Terms and any policies or operating rules posted by us on this site constitutes the entire agreement and understanding between you and us and govern your use of the Service, as defined in our Terms of Service, superseding any prior or contemporaneous agreements, communications and proposals, whether oral or written, between you and us. The headings used in this agreement are included for convenience only and will not limit or otherwise affect these Terms. The laws of the State of Delaware will govern these Terms, without regard to conflicts of law principles. The United Nations Convention on Contracts for the Sale of Goods and Uniform Computer Information Transactions Act do not apply to this Agreement. Any and all claims and controversies arising out of and related to these Terms shall be settled in the courts of competent jurisdiction in New York, New York and you agree to submit to the personal jurisdiction of such courts. Any such claim or controversy shall be adjudicated on an individual basis and shall not be consolidated with a claim of any other party. The foregoing shall not preclude Canary from seeking any injunctive or other equitable relief in any court of competent jurisdiction. These Terms are current as of the date set forth below. If we make any changes that materially affect our practices we will endeavor to provide you with notice of such change by highlighting the change on our website or by emailing you.